As the Consumer Electronics Show (CES) is upon us, we thought that now would be the best time to review what trended in 2018, as we also take a look at how that may shape our 2019. Phones have always played a massive part of the consumer electronic showcase, and this year is no different. 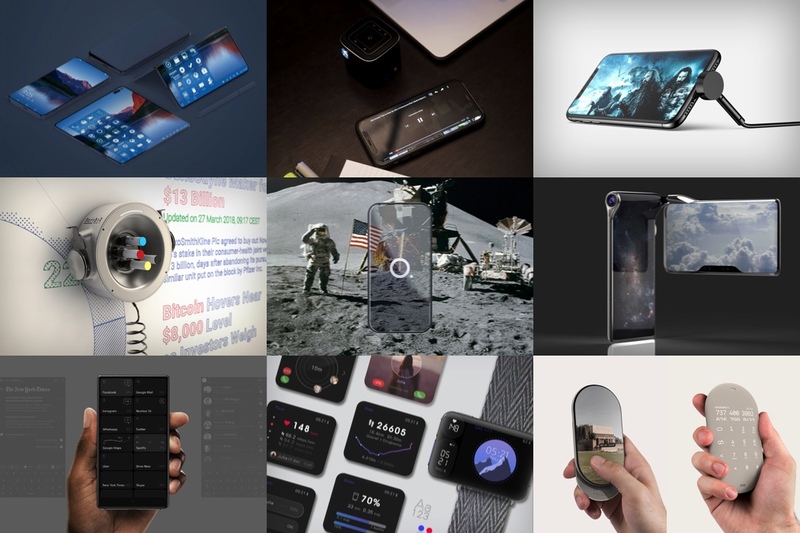 We tried to kill the bezel this year, and are one step closer to an all-screen phone. We’re also seeing 5G make its way into our lives. Along with phones, wireless chargers have taken off (except Apple’s AirPower! ), and there’s also the occasional folding tablet from both small and big players… And then fast forward to the hottest product of CES 2019, LG’s folding television! Is 2019 the year the phone peaks? Will we see the decline of the decade’s biggest product? Or will it transform into something new? A wearable perhaps. I don’t know, but isn’t that what we’re here for? To speculate, to conceptualize, to prototype, and to admire? 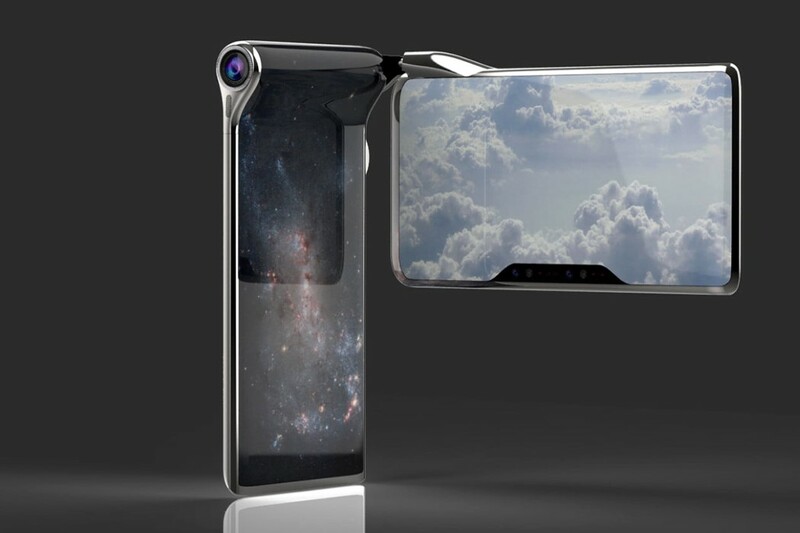 Until we get a fully transparent display, the Orbit smartphone will have to do! It expands on the trend of bezel-less design with a feature that makes it almost seem transparent – a camera that remains on and constantly reflects the environment behind it. 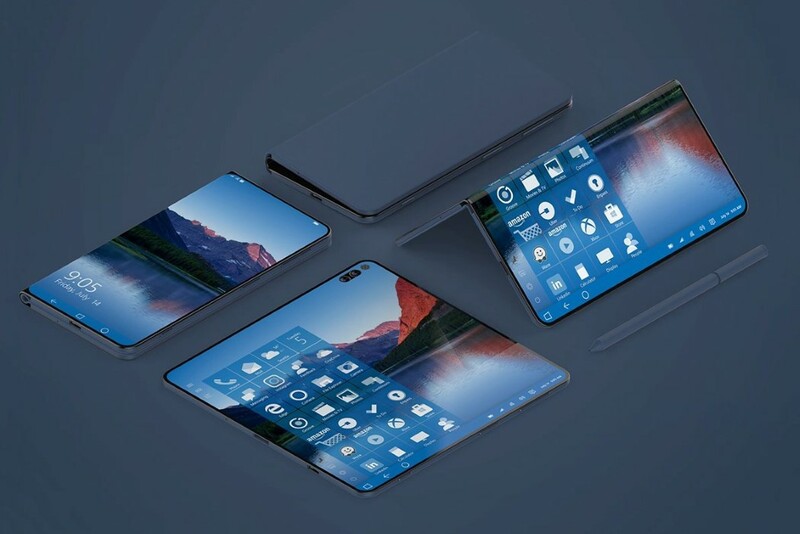 Project Andromeda by Microsoft explores a one-of-a-kind dual display device that folds down to a pocket-worthy size, and when opened, creates a large squarish screen. 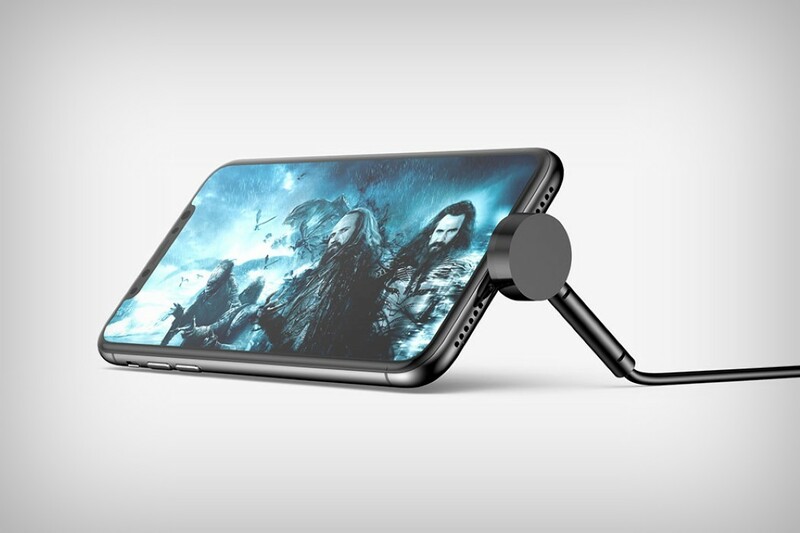 Usually charging cables are an afterthought, but this USB charging and data transfer cable is quite cleverly designed, turning into a stand-of-sorts for your smartphone, propping it up as it charges it. 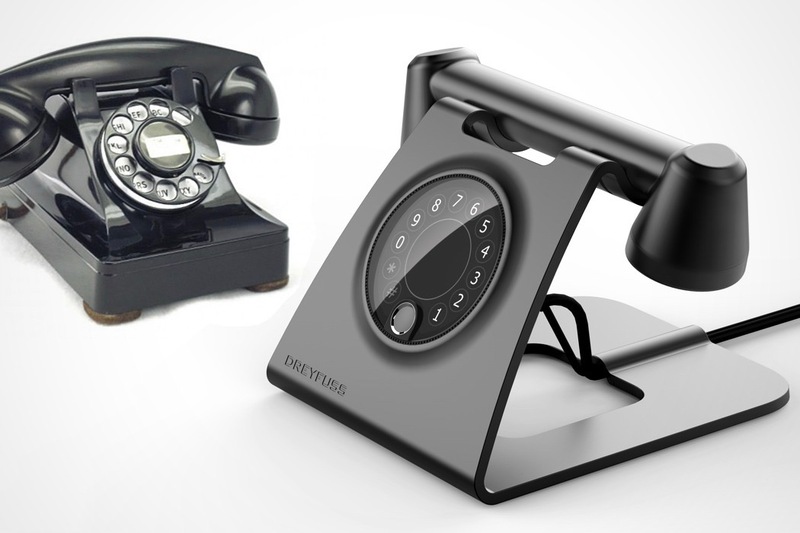 I never thought I’d say this but… I think I want a landline! I have the Dreyfuss phone to thank for this newfound appreciation. 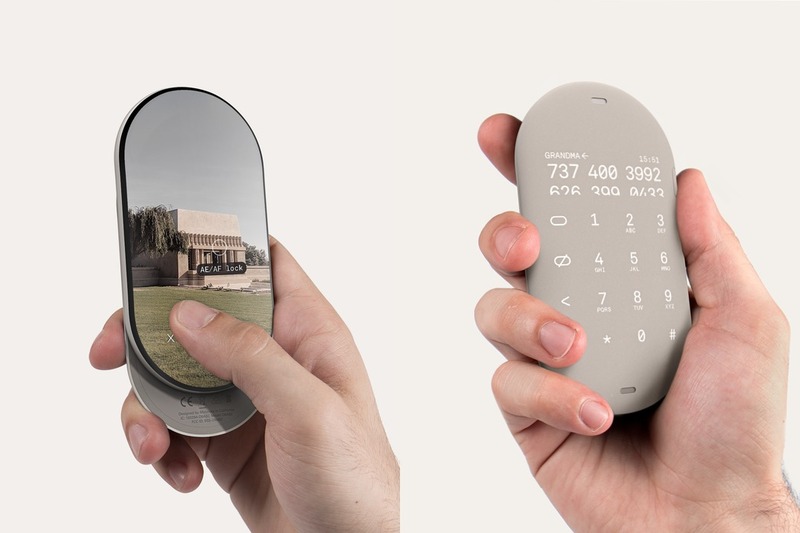 This retro-futuristic phone concept marries the iconic form of the classic telephone with a minimalistic, modern form and material combination. 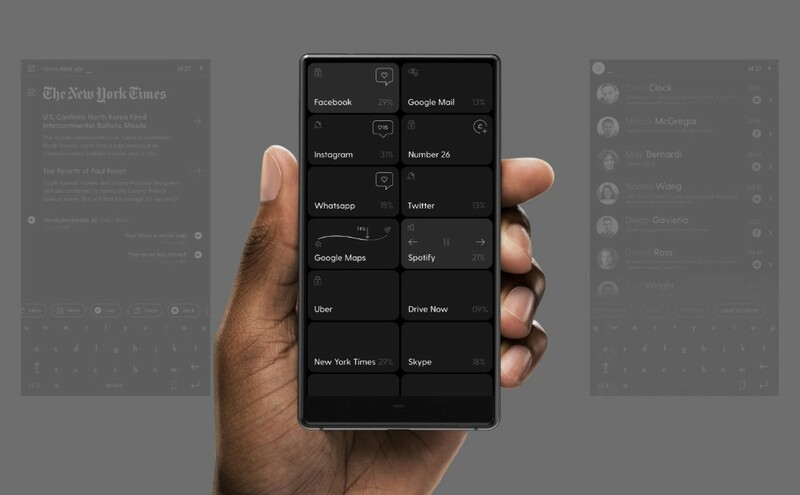 Designed to work completely in monochrome, the Blloc’s OS saves incredible amounts of power by running everything in greyscale (something the Instagram app does too with its black white and red UI). 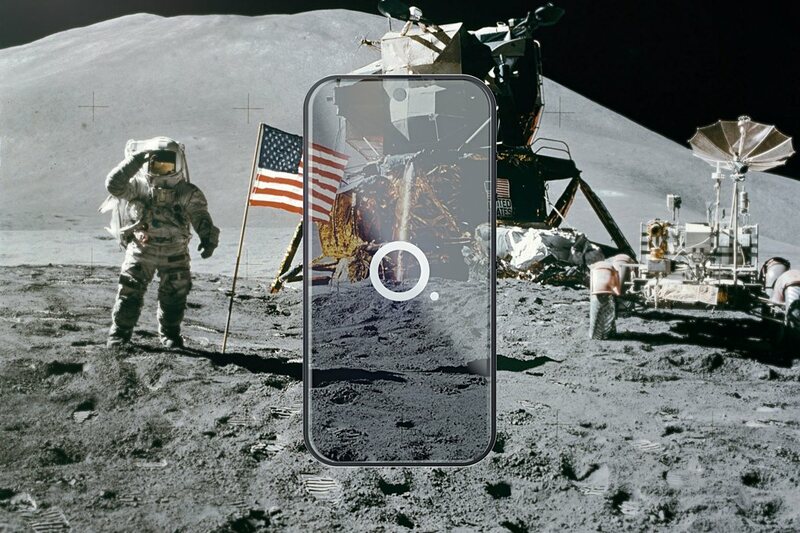 The Hubble Phone allows you to not only flip but swivel your phone’s screen, as the camera sat on the hinge, turning your phone into a camcorder of sorts… a format that was a novelty and quite a success back in 2006. Not only does the Hubble Phone experiment with that format, it’s also almost 100% screen… ON BOTH SIDES. The EveRest smartwatch has not one, not two, but three screens. With two dedicated Flexible Numeric Displays for time/date and for the heart-rate monitor, the EveRest is one of the only wearables that allows you to multi-task. The Moto Zen reduces the abundance of features on a smartphone down to just the two most important functions, communication and photography. 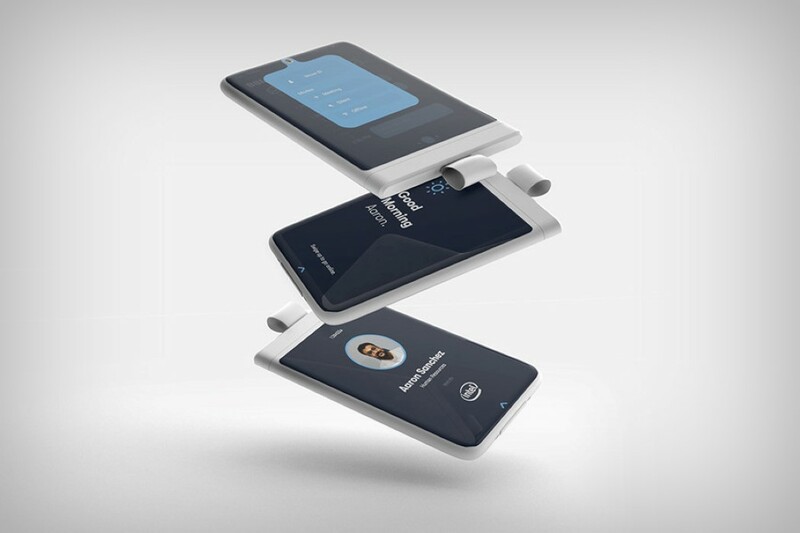 Each side of the device is devoted to one of the two functions, allowing for a very simple and intuitive experience for the user. Carlo Ratti’s Scribit is a small printer with big ambitions and the ability to take on the biggest canvases possible. 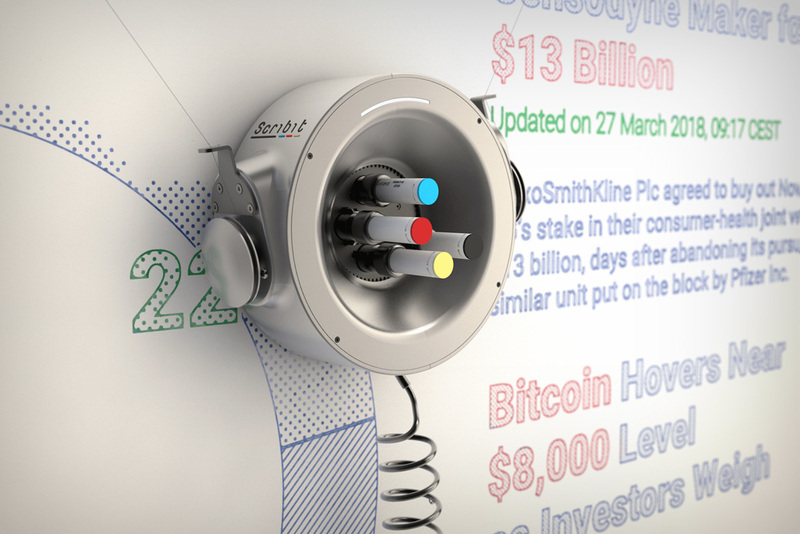 Scribit is a robot that allows users to draw on walls, whiteboards, pieces of glass, or plastered drywall. The Blackberry Network isn’t a phone, it’s your enterprise communication solution. Built to work as the RFID card that you would use to swipe into our out of your office, the BB Network is exactly that size too, and can be hung around from your neck or clipped to your pocket, much like your office ID. 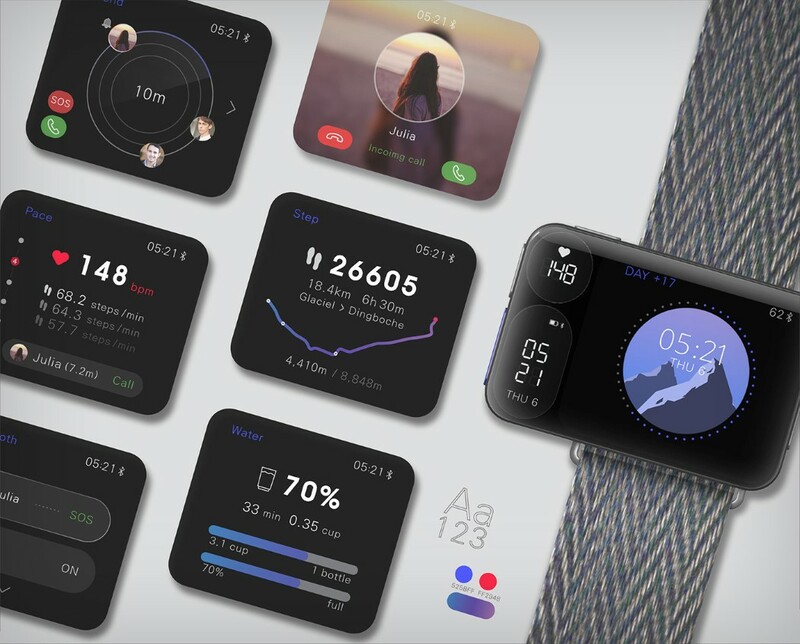 It’s even optimized to work keeping your office schedule and needs in mind, giving you access to your tasks, reminders, mails, flight tickets, etc. all accessible from within the home screen. Small enough to fit in your pocket, the PIQO outshines every projector in its category. It can cast a massive 240-inch screen with a resolution of 1080p on any flat surface, allowing you to turn practically any place you go into your own personal theater. 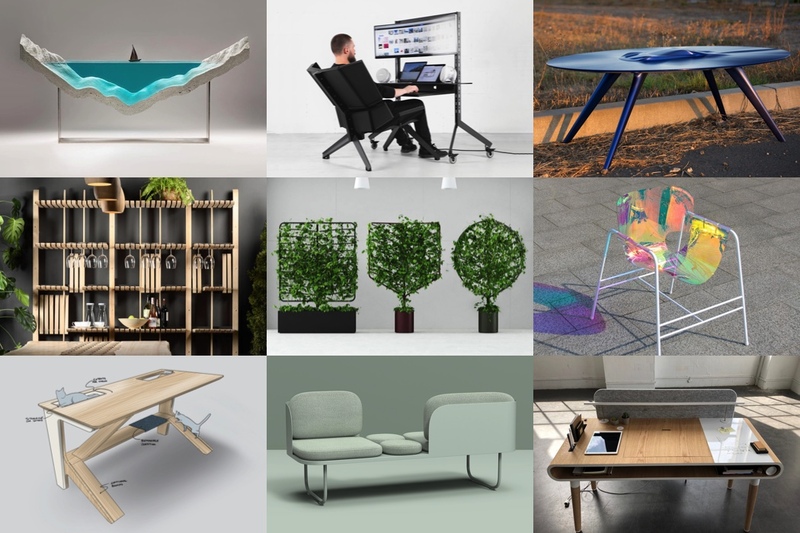 Don’t forget to check out YD’s top furniture designs from 2018. 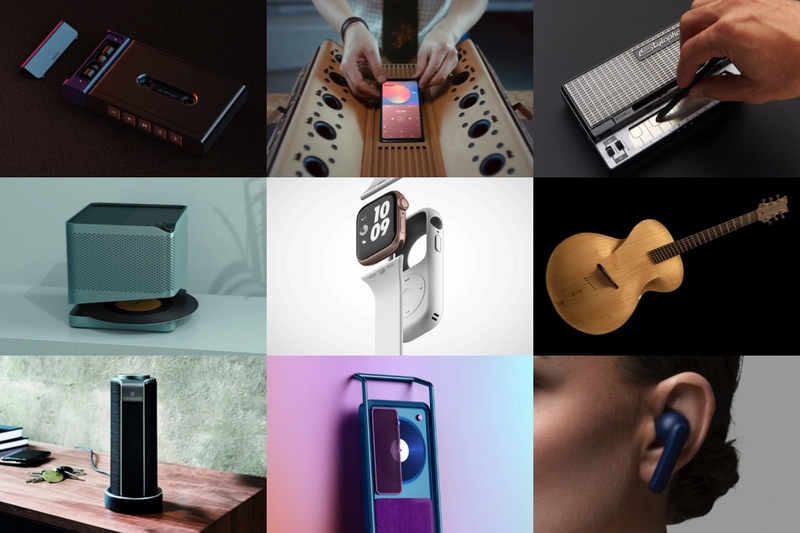 Don’t forget to check out YD’s top audio designs from 2018. 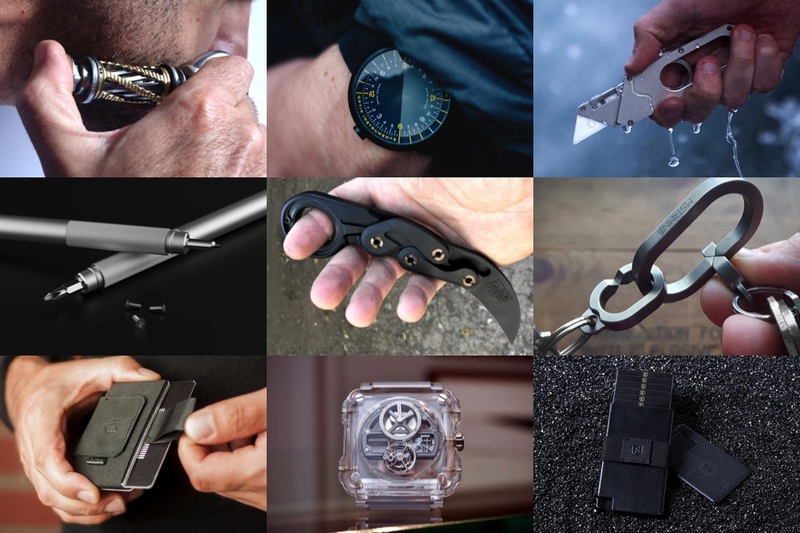 Don’t forget to check out YD’s top EDC designs from 2018. 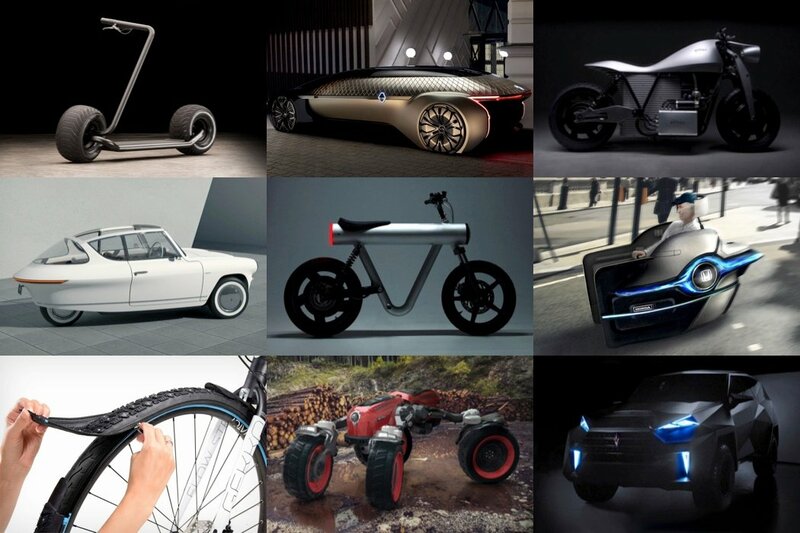 Don’t forget to check out YD’s top car designs from 2018. 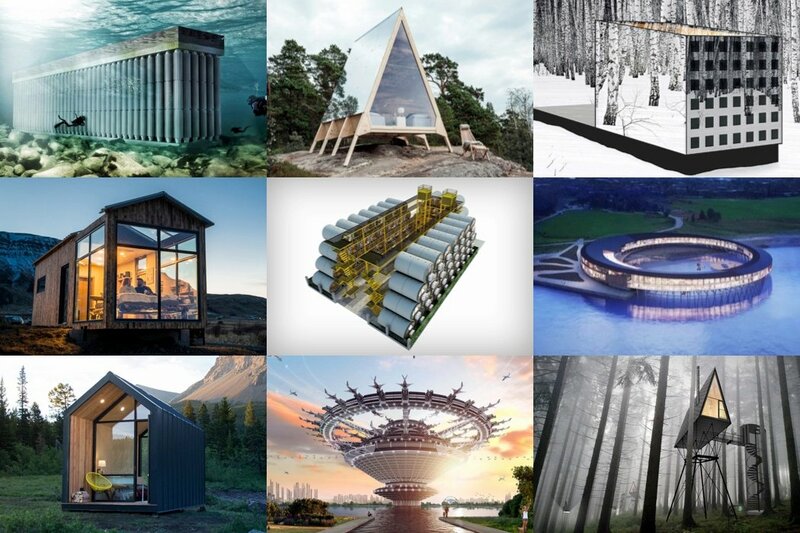 Don’t forget to check out YD’s top architecture designs from 2018.